Across the world, governments have committed to making their institutions more open to the citizens they serve. That means opening data, making evidence-based decisions and letting citizens participate in the process. 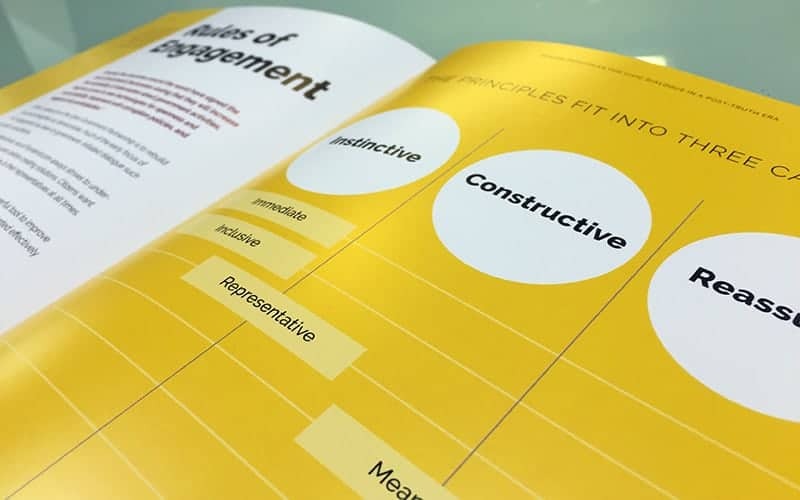 The ‘Rules of Engagement’ outlines six design principles for to support this initiative. A research and design-led white paper exploring responses to anti-government populism. 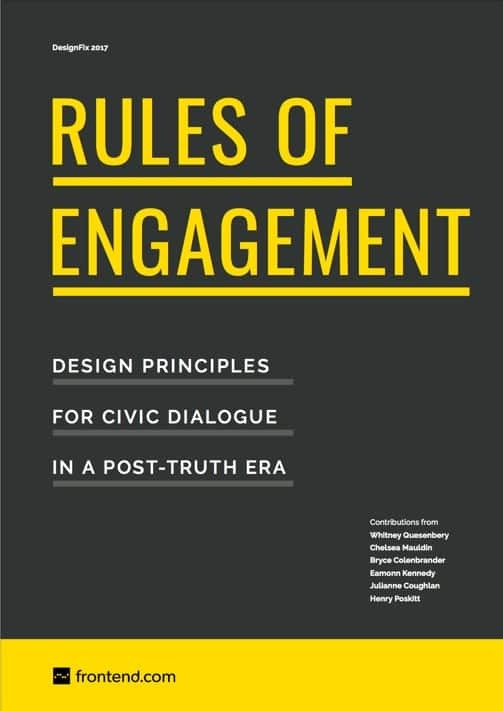 A reference document for rebuilding trust in public institutions through direct dialogue. Contributions from leading industry, policy, and advocacy thought leaders. Not only can citizen participation lead to better policy outcomes but all the evidence demonstrates that it improves citizens’ trust in public institutions and improves their sense of agency. Design Thinking has become ubiquitous in product design, business, public service provisioning and now Frontend.com, with the support of our international partners, are providing the blueprints for this philosophy to improve policymaking. The digital revolution has played a large role in the breakdown of our social capital. It’s time we utilise these new technologies to reinvigorate our social cohesion and reconnect our citizens with their public institutions. This video explains the 2017 DesignFix, Frontend.com’s societal needs programme, and the Moot design concept for civic dialogue.